Does Rain Affect My Plumbing? In short, yes. Even in dry weather it is important to stay on top of any possible plumbing issues, but when the weather gets wet, it’s even more important to understand how rain, especially heavy rain, can affect your plumbing. This is the first step to avoiding and correcting issues as they arise—even preventing basement or crawl space flooding. 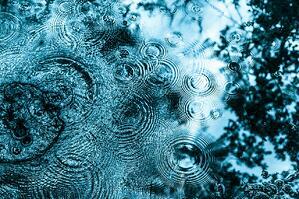 Here are some ways that rain can affect your plumbing. Most plumbing systems are durable, but it is difficult to predict what adverse weather can do to your plumbing system. Heavy waterfall can saturate the ground and this saturation can cause the surrounding dirt or sand around your pipes to turn to mud. The mud is heavier and it can increase the exterior pressure to your piping which then can set off a variety of other issues. Once the earth around the underground pipes softens, the increased pressure placed on the pipes from the heavier mud can then cause shifting. Shifting can cause the pipes to be moved and bent into positions that can cause ruptures. If the pipes have leaks due to heavy rains, the ruptures can allow debris to enter into the pipes and this debris can cause blockage which can back water into your basement or underground interior spaces. Additionally, heavy rain can help tree roots to grow and expand which then can pierce the piping and cause additional blockage and ruptures. Due to the ground saturation of heavy rains, and due to the type of soil that surrounds your home, the ground saturation will affect what happens to the excess water and where it goes. If the ground is permeable and mostly dry, the water drains away. If, however, the ground is not permeable or if the ground is already saturated and wet from previous rain, the water builds around the foundation of your home. The topography of your property can also affect how much water builds around your home. Gravity pulls water down a slope of a home located on an incline whereas the water located on a flat property has nowhere to go. As the water builds up, pressure can force it into your basement or crawl space. Without a sump pump the water can collect and cause a flood. With a sump pump the water is drawn to the sump pit which then activates the pump to remove the water. The more rain the more water, and the more water the harder your sump pump works. Make sure 1) your sump pump is adequate for the size of your home, and 2) that it is in working order to be ready for rainy weather. Due to pipe blockage, a sewer backup or a broken sump pump, you may find the heavy rain has caused a flood in your basement or crawl space. Refusal to address the excess water can create a host of issues including damage to your home’s foundation. Additionally, standing water or too much moisture can be the perfect environment for mold and other pests like termites, mice or rats. Generally, the longer the issue is not addressed, the higher the costs to your pocket book and health can be. Remove the water as soon as possible using a wet-vac or sump pump. Don’t let the space air dry since there will still be a significant amount of moisture even after the water and puddles have been removed. A dehumidifier can help prevent the growth of mold and dry the space out. Flooding is a severe problem which can be addressed by locating the blockage, backup, or broken sump pump. Even better, catching any problems as early in this series of events as possible helps avoid larger problems down the road.